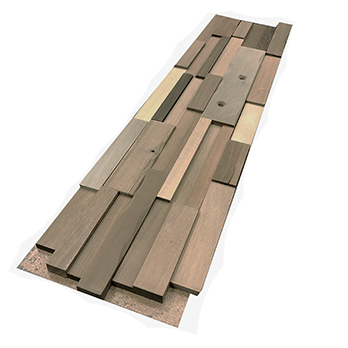 Brown pine wood panels of varying sizes, arranged on a backing board, provide walls with a truly unique feature. 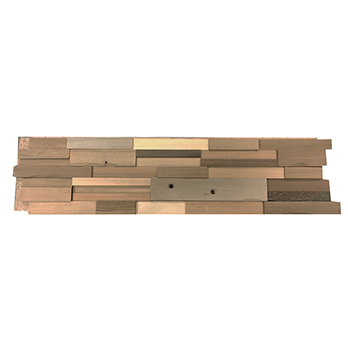 Certain panels have holes in them which add a rustic character to any interior layout. They work superbly as a feature in any room including as part of living areas. You can also incorporate them within open plan kitchen and dining areas or conservatory interiors. 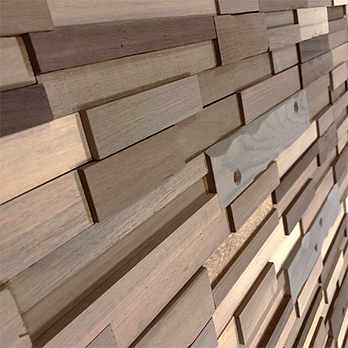 The versatility of this wood cladding ensures that it is not only selected for home designs but is also chosen for shops and restaurants. 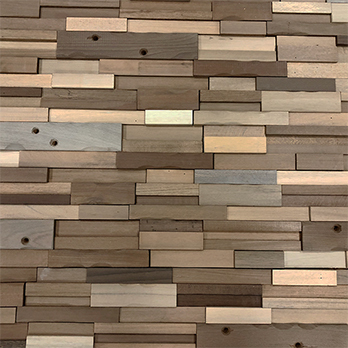 If you would like to see how this Rusticwood Timber Cladding looks as part of your chosen design then it is quick and easy to order a sample from Tilesporcelain.